Butler Air Solutions offers air duct replacement services to residential and commercial clients all over SWFL. Damaged air ducts can cause issues with the quality of your air indoors and leaky ductwork can account for energy loss in your home. 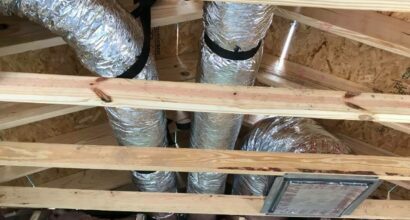 Butler Air Solutions is a leader when it comes to air duct replacement. We offer 24/7 Emergency Service to all of our customers. You can always count on Butler Air Solutions to get to you fast and get the job done right the first time. We use state-of-the-art diagnostic equipment to find the source of your heating and air conditioning problems and fix them fast.